डिप्रेशन (अवसाद) क्या है ? Depression is a very common kind of mental illness, characterized by feelings of sadness and lack of interest in surroundings for prolonged periods. When a person is suffering from prolonged and persistent phase of low mood levels and sadness, it indicates that he / she requires medical intervention. डिप्रेशन (अवसाद) क्यों होता है ? Interplay of environmental, genetic, psychological and biological factors causes depression. Depression tends to run in families, but in many cases it can even strike individuals with no family history of mental illness. डिप्रेशन (अवसाद) के लक्षण क्या होते हैं ? डिप्रेशन (अवसाद) की पहचान कैसे होती है ? At the preliminary level, a thorough physical examination would be carried out to rule out other body ailments. Following this, lab tests would be conducted for obtaining complete blood count. A psychological examination would finally help in confirming the diagnosis of depression. What is Treatment of Depression? डिप्रेशन (अवसाद) का इलाज़ क्या है ? Medications along with psychotherapy have proven to be beneficial for individuals suffering from depression. Medications are basically prescribed for calming the excited nerves and also for alleviation of other associated symptoms. डिप्रेशन (अवसाद) से कैसे बचा जा सकता है ? In some cases it is really difficult to prevent the onset of depression. However, taking steps to keep stress at bay may help in some way to keep the blues out of your life. A healthy diet, regular exercise, and taking time out for fun and relaxation, help to prevent a depressed mood. Also, if you notice unusual pattern of sadness and low mood levels, it is best to consult your doctor immediately. What to do if I suspect I have depression? मुझे शक है कि मुझे डिप्रेशन (अवसाद) है। क्या करूँ ? If you suspect you may be suffering from depression, then it is best to seek immediate medical help. Doing so, would help in early recognition of the problem. What to do if I am having depression? मुझे डिप्रेशन (अवसाद) है। क्या करूँ ? If you are suffering from depression, then you are advised to take medications regularly and seek proper counseling. You also need to spend time with your family and friends and avoid being alone for longer durations. 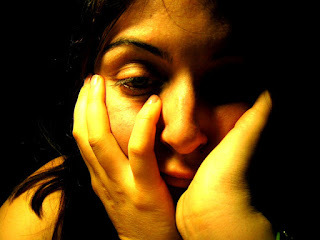 What is Ayurvedic treatment of depression? डिप्रेशन (अवसाद) का आयुर्वेदिक इलाज़ क्या है ? Ayurvedic herbs have proven to extremely effective in balancing your depressed mood levels. Some of the important herbs such as prana vata, tarpaka kapha and sadhaka pitta are used in treatment of depression. आयुर्वेद क पास कुछ खास औषधियां है जिससे डिप्रेशन का इलाज हो सकता है. What is homeopathic treatment of depression? डिप्रेशन (अवसाद) का होमियोपैथी इलाज़ क्या है ? The science of Homeopathy has some excellent medicines for treating depression. Certain homeopathic medications such as natrum sulph, aurum met, kali phos and ignatia have been successfully used for treating depression in teenagers and adults. What are dietary recommendations for depression? डिप्रेशन (अवसाद) होने पर खान पान का क्या ख्याल रखना चाहिए ? Omega-3 fatty acids have shown to have profound effect on patients with depression. Therefore, it is advised that patients make conscious efforts to include foods rich in omega – fatty acids. What lifestyle changes are recommended for controlling depression? डिप्रेशन (अवसाद) होने पर जीवन शैली में क्या बदलाव लाना चाहिए ? Individuals suffering from depression are advised to strictly adhere to a healthy eating pattern and be physically active. It is also necessary to quit smoking, alcohol and recreational drugs. Are there any self help groups for depression? क्या डिप्रेशन (अवसाद) में मदद के लिए कुछ सेल्फ हेल्प ग्रुप्स हैं ? I had gone for depression for last one year. I browsed internet and found branole x capsule and used it for 2 months. Now i am free from depression.